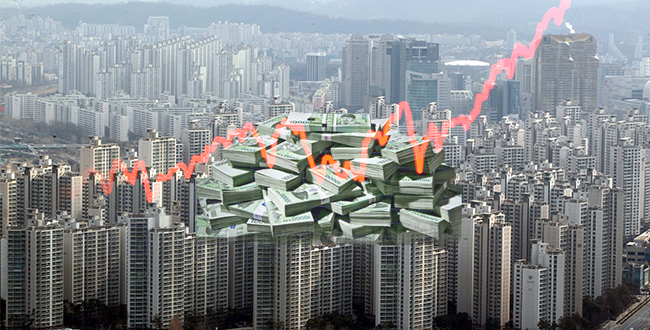 In the newest measures to rein in runaway housing prices in the capital and major municipalities, the South Korean government proposed to double taxes on owners of two or more homes in hot zones, a move that can collect additional 410 billion won ($365 million) from real-estate rich. The government on Thursday unveiled a set of measures aimed at increasing the financial burden on multiple homeowners in targeted speculative areas including Seoul, Sejong, and parts of Busan and Gyeonggi. Under the toughened guideline, the government proposed to raise the rate on comprehensive real estate tax imposed on property owners beyond a certain threshold to 0.6 percent-3.2 percent from current 0.5 percent-2.0 percent and create additional bracket for owners of properties of value between 300 million won ($267,042) to 600 million won in the existing five-tier taxation category on landlords. Maximum levy for owners of two or more homes in hot districts and combined homes of three or more will be doubled to 300 percent from current 150 percent. The government designated 43 areas including Guri and Dongan District in Anyang as targeted areas for housing price adjustment. Tax code revisions are subject to legislative approval. The design is to raise the comprehensive residential real estate tax rate on owners of multiple homes and restrict owners of two or more homes from receiving mortgage loans to block off speculative funds. 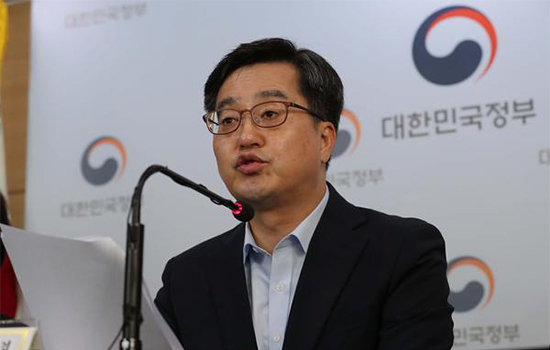 Deputy Prime Minister and Finance Minister Kim Dong-yeon said since the tax hike targets super-rich owning residential property worth of over 9.4 billion won, the government does not expect heavy resistance. Owners of two or more homes in restricted districts cannot seek bank mortgage-backed loans. A single-home owner in the hot zones also would be regulated in receiving new mortgage loans, but could argue exception if the purchase is for moving or family expansion. No public guarantee will be extended for rent-related loans to a family owning more than two homes.